Swarm Pest Control is a Family Business that prides itself on genuine old-fashioned personal service. Cathleen is the owner of Swarm and is a qualified Pest Control Technician with a hands-on approach to her business. 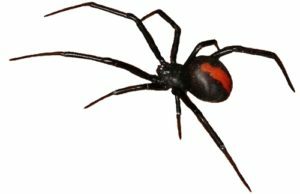 There is a good chance that Cathleen will be the Technician to personally attend to your Cockroach, Ant, Spider or Rodent Control problem. If it is true that your business life is an extension of your personal life, Cathleen would be the prime example of that. The Energy, Enthusiasm and Integrity by which Swarm Pest Control is run is quite simply the reason for it’s success. The recognition we get is an endorsement of the hard work we put into delivering a Professional, Friendly and Cost Effective pest control brisbane service to our many clients. We would like to thank our existing clients for our ongoing success and invite new clients to become a part of it. *So, if you would like to experience 1st class service then please make contact with us Now ! The most common Cockroaches you will find in SE Queensland is the German Cockroach, the Australian Cockroach, the American Cockroach and the Smoky Brown Cockroach. The German Cockroach is a very small Cockroach found living mostly in the kitchen. The American and Australian are the large Cockroaches that often live outside in Sheds, Garages and inside the garden. The Smoky Brown Cockroach is larger than the German, but not quite as large as the American or Australian. The small Black House Ant and the Coastal Brown Ant are the more common types you will find in SE Queensland. The Black House Ant is a sugar-eating ant that is often found within the kitchen and outside, feeding off the sweet sap from plants and trees. The Coastal Brown is a fat-eating larger brown ant that is found mostly on outdoor paving, around the barbecue area. The two most prolific rats found in the home in Brisbane and surrounds is the Roof Rat, and the Norwegian Rat. The Roof Rat is a dark, smaller rat that is an exceptional climber. They can be further identified by their longer tail, larger bulging eyes, pointy nose and unusually larger ears. The Norwegian Rat however has a larger body with a shorter tail, smaller ears and eyes with a shorter blunt nose. So, what exactly is a Termite inspection? Why bother? What does it cover and how often should you have it done? Another common name for a Termite is a White Ant. They look similar to the small black ants often found in and around the home with one major difference. Unlike the small bla ck ant, White ants, or Termites are an economic and destructive pest. The Termite has large mandibles, razor like teeth with a never-ending appetite for timber. They never sleep, working 24 hours per day chewing through timber that happens to be in their path. Most homes in Queensland are comprised of a large percentage of timber in their construction. Most homes have wood or Timber frames within the internal walls, timber roofing beams and sometimes timber floors. All this timber makes the average Queensland home a very attractive food source for Termites. Termites, or White Ants are cryptic by nature. This means they do everything in their power to function undetected by humans and other predators. This is bad, really bad for the homeowner. Termites generally create tunnels around 200mm below the surface of the soil, in search of moisture and in search of food, timber. They often enter the home inside the wall cavity and start chewing their way through the timber frame behind the internal walls. The first time termites are often detected by the homeowner, is unfortunately when significant damage has already been caused to the internal timber frame of your home. Termites will eat the timber from the inside and stop when they encounter the paint veneer. Remember, Termites are cryptic so they will leave the thin layer of paint intact so they remain undetected, whilst moving to fresh timber, starting the cycle over again. It is a strong recommendation to get a Termite Inspection done at least once a year. Our termite inspection comprises of checking the fence-line, sub-floor, roof void, skirtings, architraves, door frames, window frames and wooden floor for signs of past infestation and current termite activity. At Swarm Termite & Pest, we also go the extra mile by checking for any conditions that would make your home more attractive to these destructive pests, for example if you had a leaking drain pipe then we would request you get the leak repaired. As mentioned earlier, Termites are attracted to moisture. For your peace-of-mind and the relatively low cost of having a Termite Inspection done by Swarm, we sincerely think it is money well spent if you consider the alternative. Termite damage can run into many Thousands of Dollars. We would encourage you to not gamble with your number one investment. As part of our service offering, we undertake Pest Pre-Purchase inspections should you be ready to make an offer on your new potential home. We would be more than happy to arrange for a Building Inspection to be done at the same time that we do the Pest inspection. Upon completion, you will receive a highly detailed report of the condition of the property that you are about to purchase. We would encourage you to not make a huge decision to purchase a home without engaging the services of a professional company for your Building & Pest Inspection. We would look forward to receiving your call. What to do if you have found what you think is Termite damage? Don’t panic. In fact, don’t do anything before calling an expert to discuss what you have found. The last thing you want to do is scare them away before you have had an expert come out to assess the situation. Termites are cryptic by nature, meaning they will retreat from the area that you have disturbed. We want the termites to remain exactly where they are as this gives us the best possible chance to eliminate their colony. We will use a combination of methods to kill the termites, and destroy their colony. We may use a poisonous dust or liquid chemical if found outside. The dust and chemical Swarm use is slow acting, which means that it will give the termites enough time to take the poison back to their nests and over time, eliminate the entire colony of termites. If you think you have found termites, also known as White Ants then please call us immediately. We do not charge anything to give you advice and will, free of charge visit your home to assess the situation! It has been suggested that 1 in 3 homes in Queensland have, or have had termites in them. There are a few ways to minimise the chance of termites entering your home. Swarm use a few methods, one of which is the application of a specialised chemical into the soil surrounding your home. This is known as a Treatment Zone, which poisons the termites should they be brave enough to tunnel their way through it. Unless disturbed, the lifespan of a treated zone is around 6 to 8 years. A strong recommendation from Swarm, would be to have us install a reticulation system of flexible hose into the trenched soil. The flexible hose has a number of tiny holes throughout the length, allowing us to fill it up with chemical in the future, thereby removing the need to have to dig another trench in future. Another, less intrusive method of controlling termites is to place purpose-built bait stations at defined intervals around the home. Many of our clients choose this method as it is less intrusive then us having to trench and treat, or drill and inject chemical into the soil. Our bait station solution includes two free bait inspections within 6 months to tweak the placement of them and to check for any termite activity within them. Furthermore, you will receive advice about how to make your home less inviting to termites. Please remember, we are just a phone call away. It would be our pleasure to give you continued advice into the future. South-East Queensland is unfortunately the perfect breeding ground for many of the Pests we find in the home. The warm humid climate in Brisbane is the ideal conditions for Cockroaches, Ants, Spiders and Silverfish to thrive in. As a trusted pest control company, we specialise in treating the many species of Cockroach, Ant, Spider, Silverfish and Rodent found in the typical home in Brisbane & surrounds. By far the most common method of treatment is by spraying a chemical inside and outside of the home. The chemical is completely safe for your Pets and Children. Once the chemical dries, it has a long lasting residual knockdown effect to pests that choose to run over it ! If you have a heavy infestation of Cockroaches & Ants in the home then we will apply a Gel bait in your kitchen cupboards and drawers. The gel bait is a food source which the Cockies or Ants take back to their nests. In time, the entire colony is eliminated. Depending on the Rodent type, we will invariably place Bait Stations in your roof space, your sub-floor area and possibly outside if we can identify their entry point. The Station contains a bait that is an attractant to the Rodents, and once eaten it is just a matter of time before it perishes. The Bait Stations used at or below ground level is of a strong PVC lockable type, so as to prevent kids or pets from getting to the bait inside. Whilst some pest control Brisbane companies may spend a mere 30 to 60 minutes treating your home, we spend an average of 1.5 Hours in the average Brisbane North, Brisbane South, Western Suburbs or Bayside home. If you find it important to deal with a Professional, Ethical, Family Business then we would be delighted to hear from you. So, what is holding you back? Please complete our Online form or give us a call Now ! It is important that we retain your business for a long time into the future. We want to remain the best Pest Control Brisbane business as a result of our excellent reputation for top class service. We will work with you to assess your pest problem and reach a working solution. Our solution is long-lasting since you will receive ongoing advice from our team. The beauty of Swarm Pest Control in Brisbane is that our service is Affordable and our conduct Professional. There are a few different ways in which we treat your pests due to the type and level of infestation of these pests. We will choose a treatment that is effective, yet safe for your Pets and Children. The technician will spray the area with chemicals while strategically applying a gel bait if deemed necessary. Where appropriate, our technician will spray a roof void or wall cavity due to this method being effective for a huge Cockroach infestation. We will give you advice while we help keep those pests out of the home. Please ensure that all pet feeding and drinking bowls are stored out of site rather than relying on a technician to do so . The last thing anyone wants is for your pets to be affected by the wet spray. Our technician will request your children’s toys be put away before our spraying commences. This will remove the threat of overspray. Please place all open food sources in a tightly sealed container. Please vacuum all carpets if we are treating for fleas since fleas are tough to get rid of. Wash your pet’s sleeping blankets while you take the pet to the vet for flea treatment. Please mow your grass finally and ensure that no grass cuttings are left on the property. Please wait for the treatment to dry completely since it is poisonous when wet. Please do not make contact with the treated surfaces since the re-entry period is usually a few hours. Do not allow children into the treated area until the treatment is dry. Keep kitchens in a hygienic state because Cockroaches love your food. Do not leave crumbs lying around, rather keep the surfaces clean. We need to ask you to please keep all food sources sealed due to the use of our gel bait treatments. We would ask you to keep your outside barbecue area free of discarded food due to Coastal Brown ants nesting in this area. The ants also love the fat that may have splashed on surfaces therefore keep these surfaces clean. You need to keep-up with the recommended program for treating fleas because fleas have a unique lifecycle. Book a follow-up Pest Control Brisbane appointment, and rather keep-up with our Yearly Pest Control maintenance plan. Swarm Pest Control Brisbane take pride in our work as our ethos has always been focused on customer service, rather than the quick hit and forget method of some. We’re here to help answer your questions or set a time for your Pest Treatment. Your enquiry should be responded to within an hour of you submitting this form. Thank-you so much for sending out such a pleasant person to deal with my cockroach problem. He explained what he was doing at every step of the way and as a result I feel comfortable. I would recommend your company since my experience with your Pest Control Company.